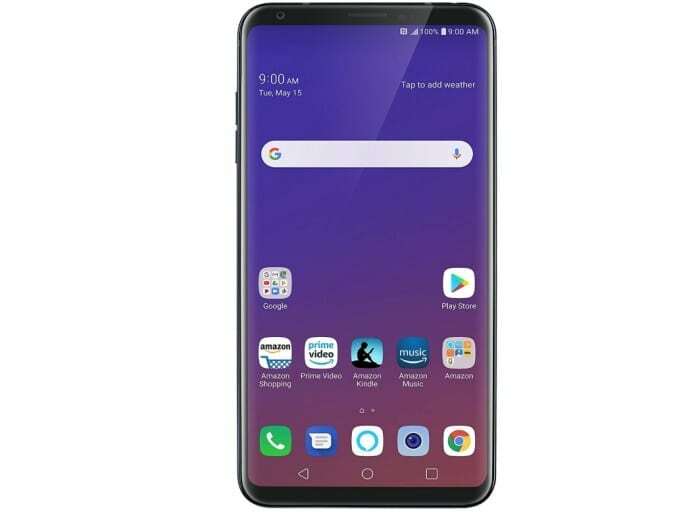 Convoluted name and confusing similarities with the G7 ThinQ and V30S ThinQ aside, the LG V35 ThinQ is a pretty impressive new phone. As such, it obviously doesn’t come cheap, but Amazon Prime subscribers can score a massive discount for the next few hours only. At $599.99, the unlocked OLED 6-incher is now more affordable than both the “notchy” LCD G7 and Snapdragon 835-powered V30S. That’s a whopping $300 off list for the Prime Exclusive variant of the “Aurora Black” V35 ThinQ, mind you, and it’s naturally exclusively available during Amazon’s Prime Day jamboree. You’re free to activate the Snapdragon 845 powerhouse on your choice of three major US networks (AT&T, T-Mobile or Verizon), and under the Second Year Promise program, LG will give you an extended 24-month warranty. In addition to the aforementioned ultra-sharp, extra-large screen (with 2880 x 1440 pixel resolution) and blazing fast Qualcomm processor, the LG V35 ThinQ also has dual 16MP rear-facing cameras going for it, as well as various AI enhancements, water, dust and shock resistance, both facial and fingerprint recognition, 6GB RAM, and 64GB internal storage. There’s no iPhone X-borrowed notch to make you feel less special for buying this thing, and somehow, LG manages to strike a great balance between a sturdy and stylish design. Granted, the battery could be larger, but there’s no such thing as a perfect phone.